The wait is over! You can grab the new Rhythm Heaven game immediately via the eShop. 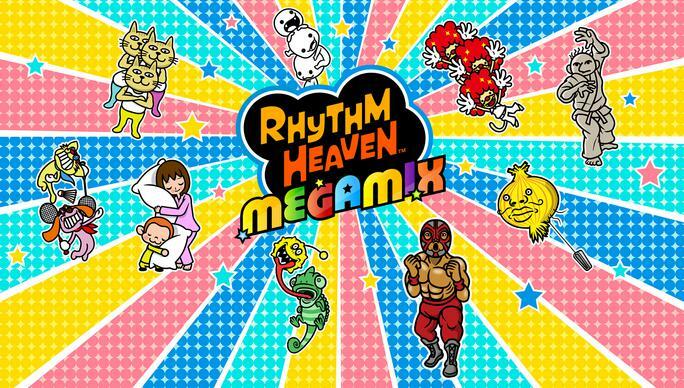 After Nintendo showed Rhythm Heaven Megamix today, featuring an abundance of classic and new micro rhythm games, it also dropped a huge surprise: It's actually available right now, and you can pick it up via the Nintendo 3DS eShop for $29.99. The game features rhythm games with special updates from Rhythm Heaven titles releases on Game Boy Advance, Wii,a nd Nintendo DS, with over 70 rhythm games that span most of what the series is comprised of. There are even several games that hadn't yet made it over to Western audiences now up for grabs in-game, with four-player simultaneous multiplayer rhythm game support to earn special items called "Flow Balls." There's a wealth of new content here even if you basically exchausted everything the previous games had to give, and if you've got $30 burning a hole in your pocket and some free time during all this E3 madness, this should be a no-brainer of a purchase for you. It's definitely a fantastic surprise indeed, and a great cap to a very long, eventful day full of news.